CTYA would like to congratulate and recognize all the participating teams. 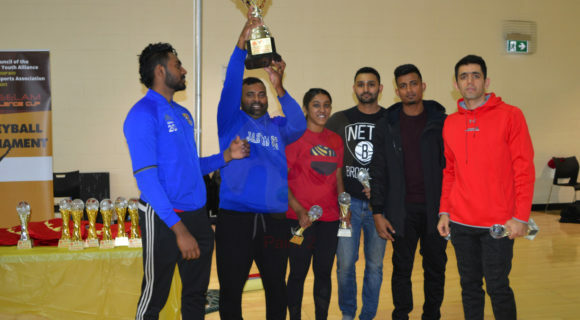 All teams played with great team spirit and sportsmanship, and made the 5th Annual Tamileelam Challenge Cup Volleyball tournament an event to remember. 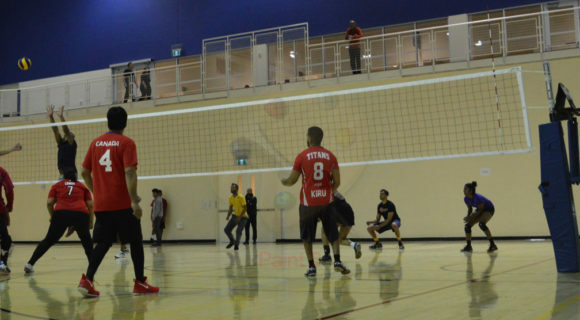 This year’s finals showcased a great match between High Flyers and Jarvis. After an extremely tight game, the High Flyers prevailed as the winners. 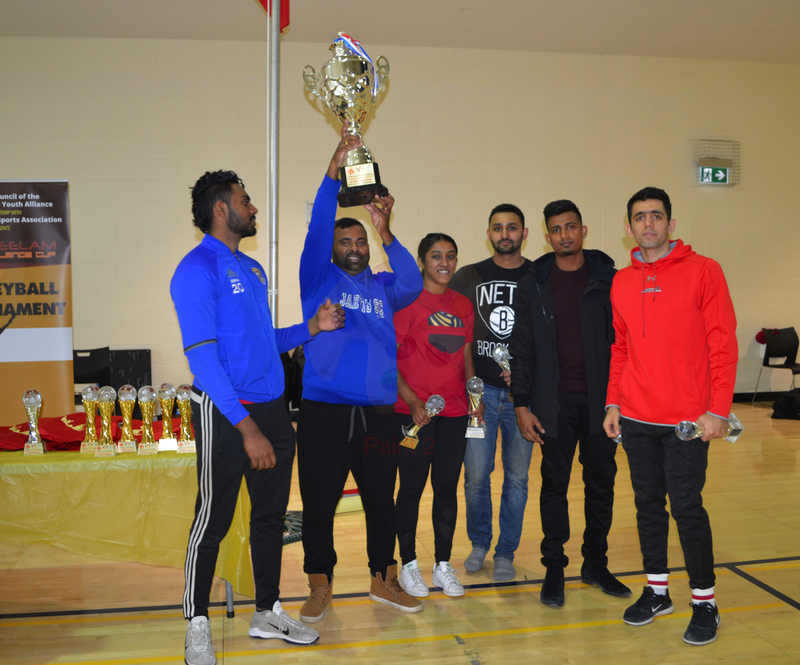 The Most Valuable Player award was awarded to Thayaparan Somasundaram from High Flyers. The Vaahai award was presented to the best setter of the tournament, Hellinic DePaul from High Flyers. The Chenbagam award was presented to the best defensive player of the tournament, Nigel Baldeu from High Flyers. 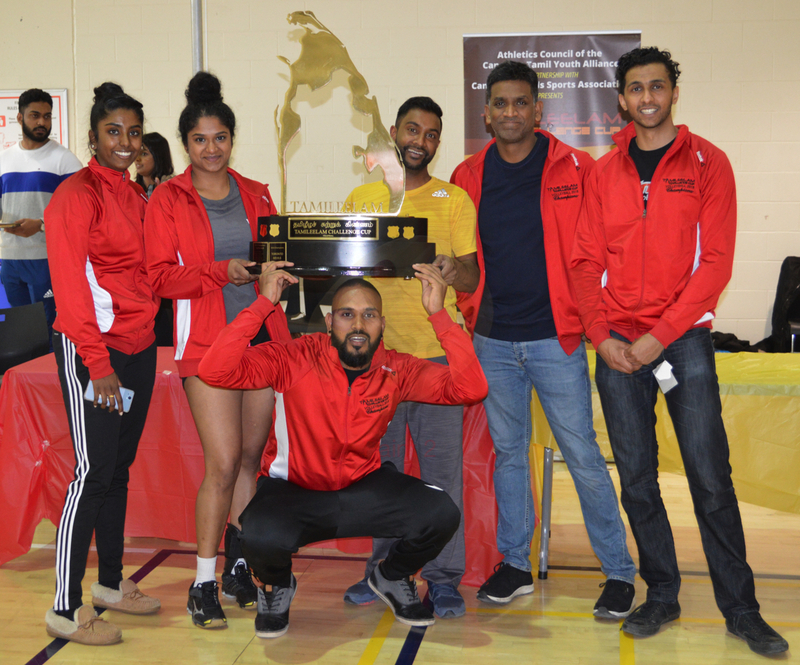 The Karthigai poo award was presented to the player with the best sportsmanship which was Karan Vigneswaramoorthy from Jarvis. Finally the Siruthai award was presented to Shikaeb Rahi Soratgar from Jarvis, for being the best striker of the series. This entry was posted on Wednesday, March 21st, 2018 at 11:33 pm	and is filed under Athletics/Sports, News. You can follow any responses to this entry through the RSS 2.0 feed. You can leave a response, or trackback from your own site.